Gareth Bale played a major part in helping Wales qualify for their first ever European Championships, scoring seven of his nation’s 11 goals, but a staunch defence was just as big a factor. Only three teams qualified for France next summer with a better record at the back than the Dragons, who shipped just four strikes across their 10 games. It’s that solidity, with Bale an obvious threat going the other way, that Chris Coleman will bank on to get out of his group at the tournament. 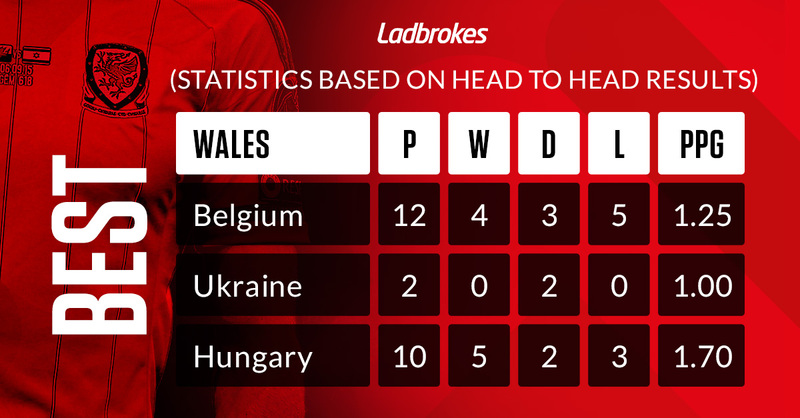 Of course, reaching the knockout stage of the competition will be far easier for the 50/1 shots if they were handed a kind draw and Ladbrokes News has done some investigating to find out exactly what Wales’ ideal group would look like. Based on head-to-head records against every nation playing at Euro 2016, we present the plum draw Coleman should be crossing his fingers for, along with the worst set of opponents imaginable for good measure. Wales’ list of ideal rivals starts with their Group B qualifying counterparts Belgium. Coleman’s men went unbeaten against Fifa’s current world number one side while booking their spot at France and have a better head-to-head record against the Red Devils than any other Pot 1 foe. Although they’ve never actually beaten them, the fact that the Welsh haven’t ever lost to Ukraine either makes them the most desirable rivals from Pot 2, while Pot 3’s Hungary are far and away the easiest option to round off the group, thanks to five wins in 10 battles. The Dragons have lost to England 10 times in 15 games, but have still fared better against the Three Lions than they have in one outing against Portugal. 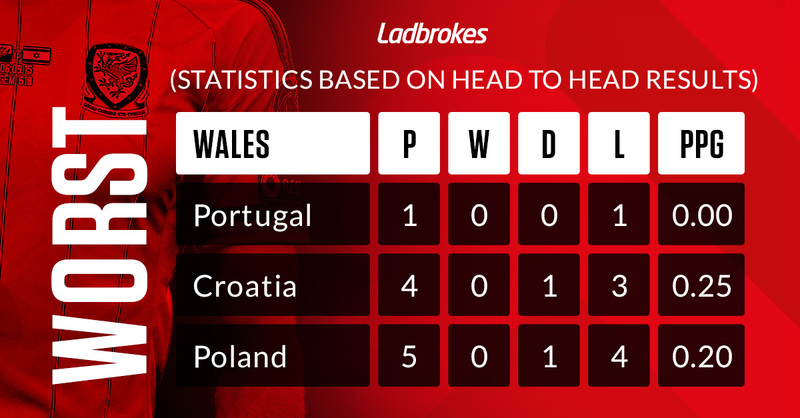 Gareth Bale and co boast identical head-to-head records against Croatia and Russia, so either opponent from Pot 2 would spell bad news, but it’s the Croatians that are picked here due to their higher world ranking. Poland round off Wales’ worst possible group, having beaten the Cardiff City Stadium dwellers four times in five meetings with them.